The program focuses on the changing business environment, especially the transformation of service business. Aalto University Executive Education has developed a unique Talent Leadership Development Program for Orange Asia-Pacific in co-operation with the telecommunications giant’s own Orange Campus. The three-year program delivered in Singapore focuses on the changing business environment, especially the transformation of service business. Key questions to be answered are: How to create value to your customer, how to lead change in a global matrix organization, and how to think in an innovative and creative way? ”We have a lot of trust in Aalto EE to manage such a key and strategic people program for Orange”, says Jessie Lim, Head of Human Resources, Asia-Pacific, at Orange. 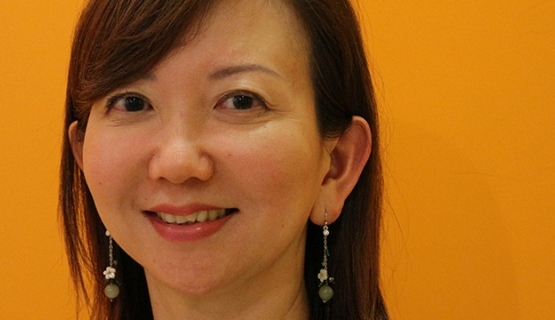 Jessie Lim, Head of Human Resources, Asia-Pacific, at Orange, says the new program aims at two levels. ”First, to focus on leadership development, developing the leadership bench and succession planning, and second, to drive talent management of our key talent - both top and emerging talents - so as to retain them for growth in the company”, Lim describes. Three of the program’s modules are facilitated by Orange Campus, three by Aalto Executive Education. Orange Campus provides modules on empowerment, creativity, and management. Aalto EE’s modules tackle customer oriented mind-set, the ”new normal” in business, and a business simulation. ”The partnership between Orange Campus and Aalto EE is a customized, hybrid approach to develop our talents both from an internal as well as external perspective”, Lim says. ”Our participants greatly appreciate the much broader dimension offered by Aalto EE on the industry knowledge and competitive environment operating externally”, Lim interprets. Graduates of the program receive a Aalto University Graduate Diploma in Management.